The people of Stuttgart are known for being a bit stingy. It’s a reputation that people have all across the Swabian region here in Germany. And it’s one that they embrace. Why waste money when you can get the same thing for free, is the logic. And it’s hard to argue with. 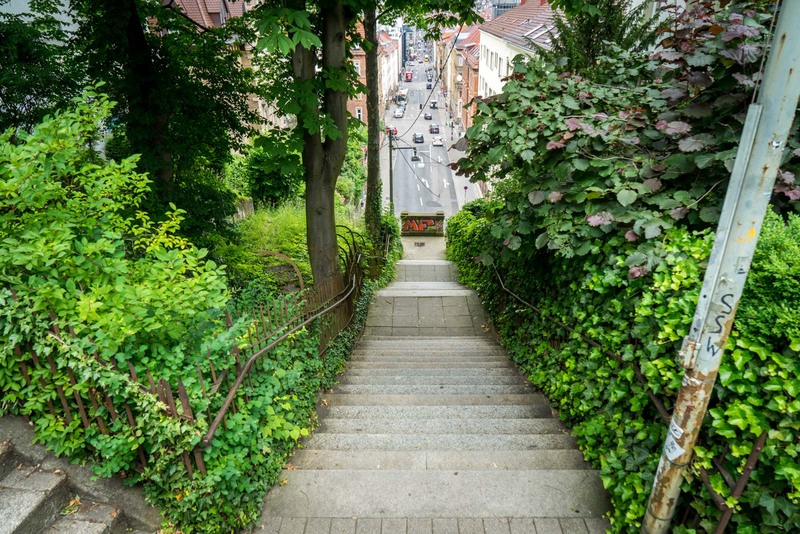 I’m shown an example of this firsthand on my first day in Stuttgart when a local guide offers to show me the city’s stairs on this great tour. Stairs, I wonder – why would that be something you show a visitor? But the people here are proud of their stairs. Stuttgart is surrounded by hills where the suburbs have expanded amongst the nature. To connect all the houses, stairs have been built on the inclines – up and down; diagonally; though alleys, parks and neighbourhoods. Not only are they practical, but they take you to great viewpoints and interesting local spots. The stingy Swabians, though, they see another benefit. 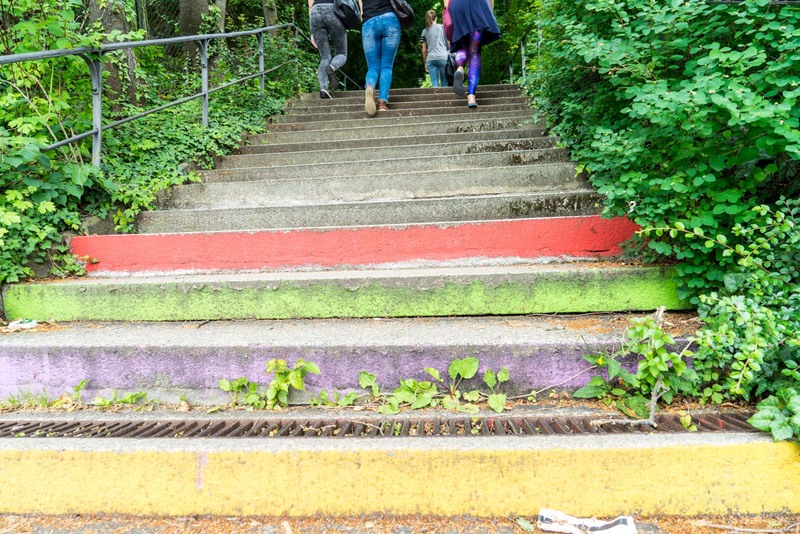 The stairs of Stuttgart have created an opportunity for exercise and walking or running around them has now become a popular hobby for residents of all ages. No need to pay to go to a gym! And so I see quite a few people running by as I explore the stairs – and there are plenty to explore. 400 sets of public stairs in the hills, making more than 20 kilometres in total! Luckily one of the things I discover along the way is a beer garden with views across the city! Discovery seems to be the theme of my time in Stuttgart, which I have decided is possibly Germany’s most underrated city! There is so much here – you just maybe don’t realise that before you arrive. How often do you hear someone talk about their trip to Stuttgart, suggest you go, tell you all the wonderful things there are to do? I’m guessing not that often. Until now… because I’m going to do all three. The beauty of Stuttgart is that it’s perfect for whatever you want. And there are lots of things for tourists to do in Stuttgart itself. Let’s take a look at that last point because that’s what I would like to focus on today. I used the Stuttcard during my time in Stuttgart. It’s a sightseeing pass that – for a fixed fee – gives you free access to dozens of places in the city and surrounds. It’s a great way to see as much as possible in a limited time, without spending too much. Let me tell you about some of the places that you can visit with the Stuttcard. I’ve put them on the map below so you can get a sense of where they all are. Public transport can be included with the Stuttcard so you can use the excellent transport system to get to all of these places. The gallery is quite large with a good range of artwork on display. You’ll recognise a lot of famous names in the modern art section – Jackson Pollock, Andy Warhol, Roy Liechtenstein. Going further through, there are good collections of German painters and other European artists. 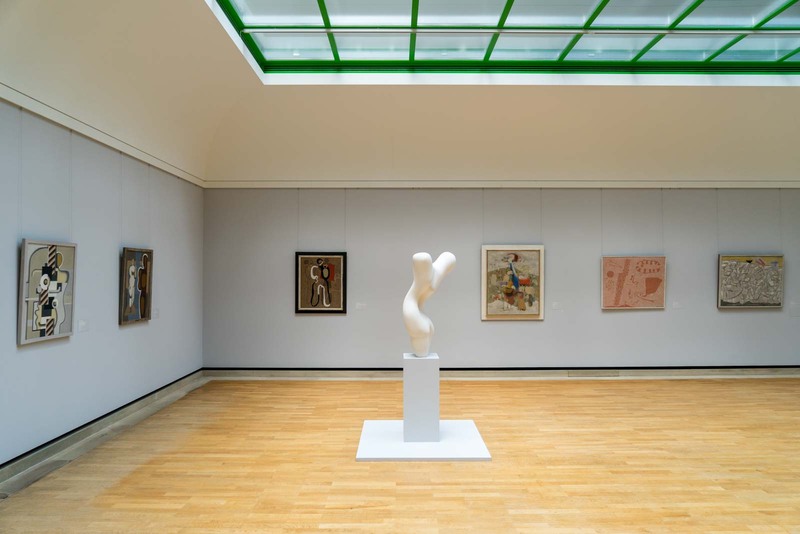 There’s a lot to see here and it would be easy for art lovers to spend a few hours. 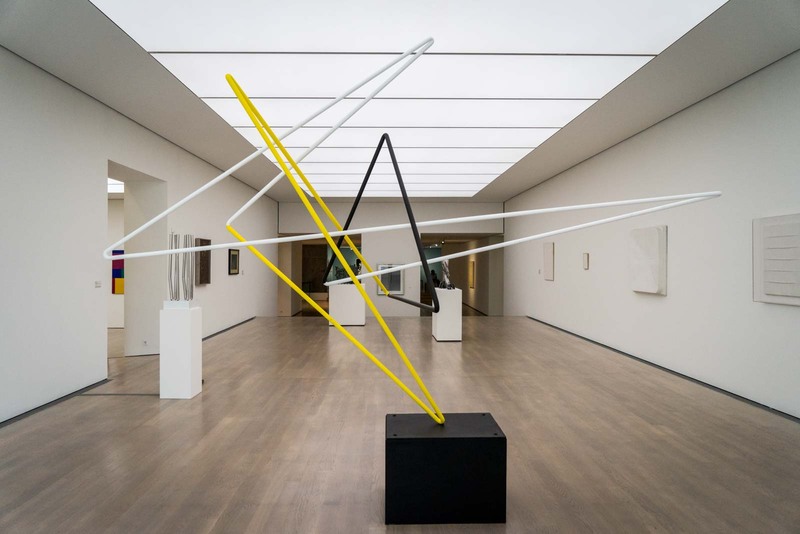 Keep in mind, though, that if modern art is your thing, there’s another gallery you’re going to want to visit too (which I’ll discuss in a moment). 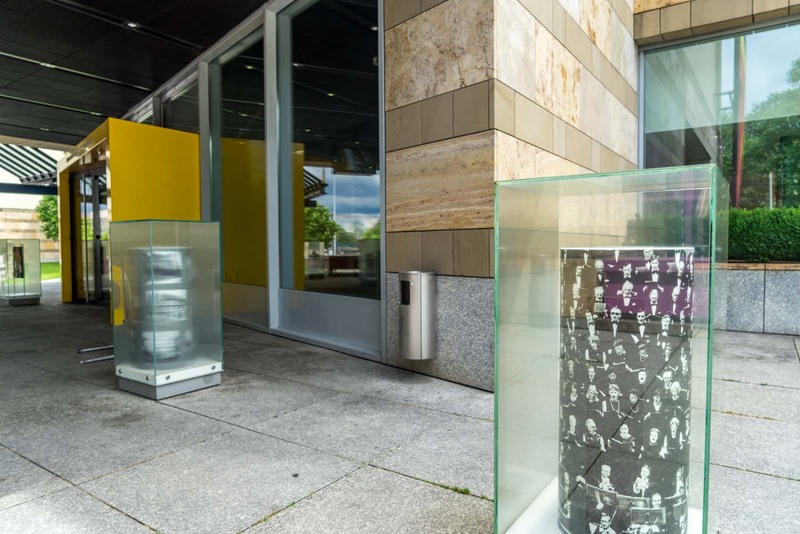 This museum tells the story of the culture of Baden-Württemberg and Stuttgart over recent centuries, up to present day. It’s well designed and has a lot of exhibits. However, I would suggest that it’s more of interest to locals or those with a keen appreciation of the story of the region. All the exhibits are in German, although you can get a free English audioguide. 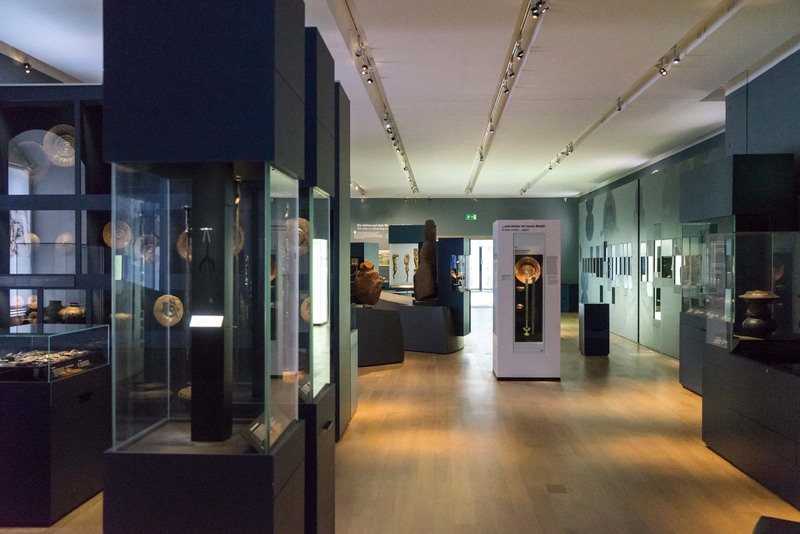 The upside is that it is right next to the art museum and free with the Stuttcard, so it’s easy to pop in and have a look around before you move on. A much better museum for international tourists interested in the history of the region is this state museum. It covers the period from Neanderthal man all the way up until the middle of the 20th century. 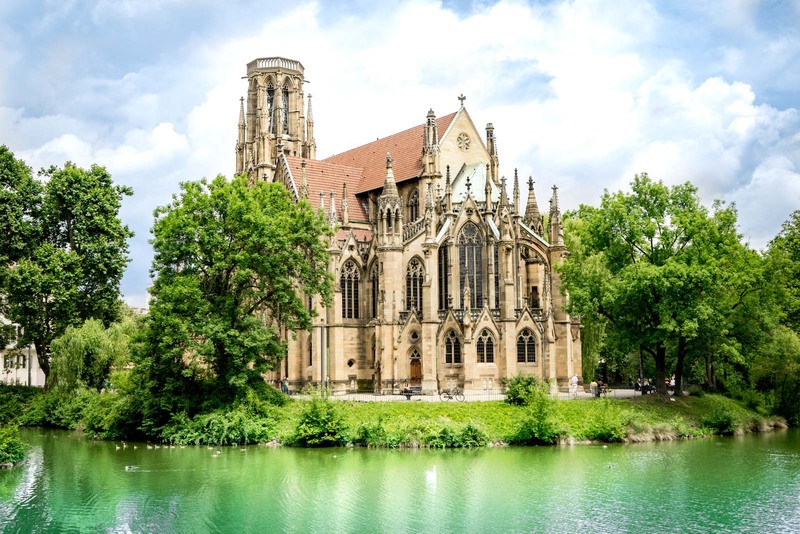 While it doesn’t go into the detail of modern Stuttgart, it sets up the story very well through the Roman era, the Middle Ages, and the kingdom that followed. The exhibits are in German and English and there’s a lot of interesting detail to learn along the way. This could be a good place to start your exploration of the region – particularly if you’re planning to see some of the old royal buildings. Just a few minutes walk from the State Museum is the new art gallery in a modern glass cube, fitting for the works it holds. The architecture is an attraction in itself but, of course, it’s the art that is the real drawcard. The work on display may not be from the most famous artists – and there’s an emphasis on local creators – but the collection shows a depth of imagination and creativity in a range of styles. 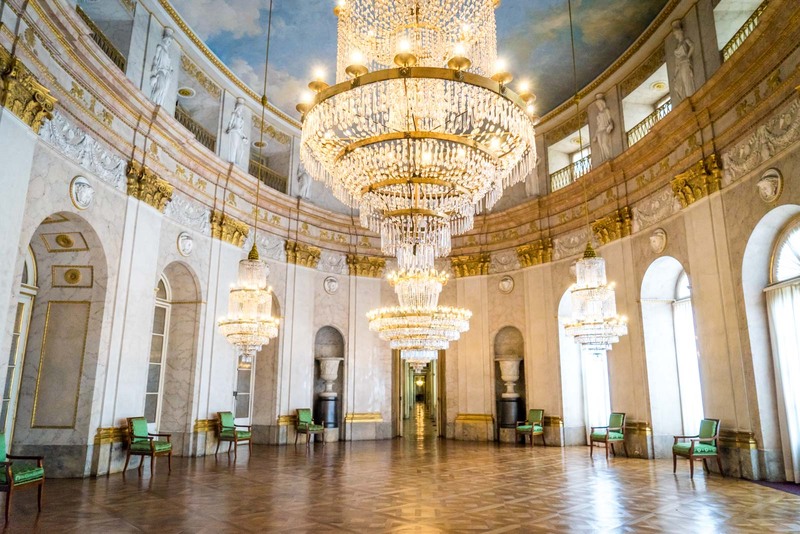 Just outside the city centre, Ludwigsburg Palace is one of the top sights in Stuttgart. The construction of the enormous palace was started in 1704 but it’s been extended and modified over the years. The only way to see inside is with a guided tour but it is worth it. Not only do you get to see a lot of the rooms, you’ll hear the stories of the owners and the gossip that still surrounds them. The Porsche Museum is as well designed as the cars themselves. It is home to dozens of original cars and there’s plenty of information in English and German about each model and the stories behind them. There’s an excellent and free audioguide that accompanies the displays and it has all sorts of interesting anecdotes. 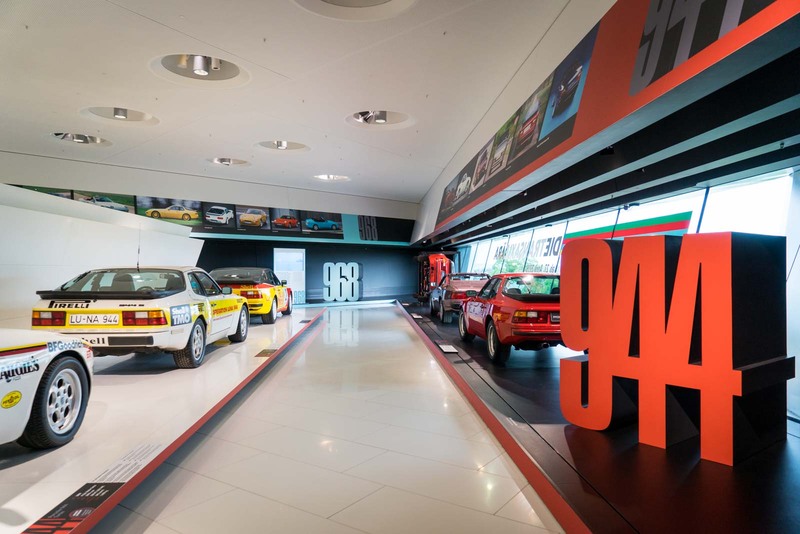 Stuttgart is famous as an epicentre of motoring and this is a perfect place to learn more about the city’s impact on the global car industry. 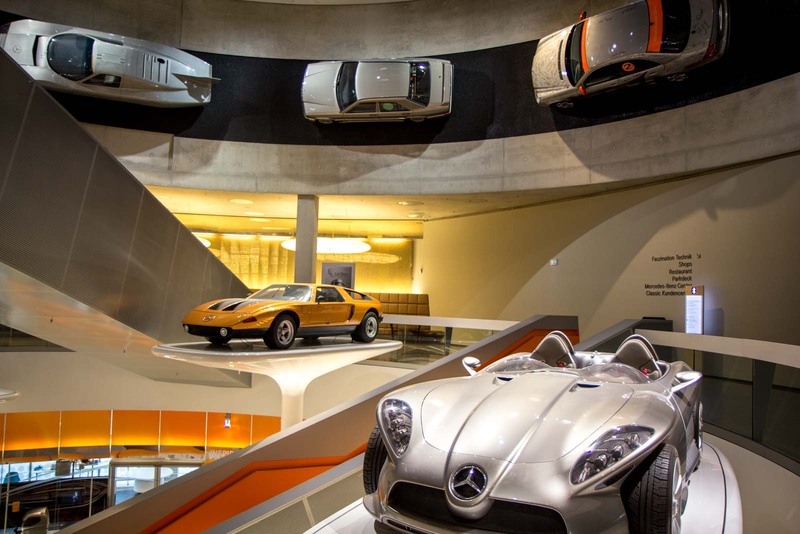 The Mercedes-Benz Museum is another place to indulge your interest in cars and this is definitely one of the highlights of any visit to Stuttgart. It is, after all, a tribute to the inventor of the car and everything that helped make that happen. There are plenty of cars on display and exhibits that show the detailed work that went into each of them. 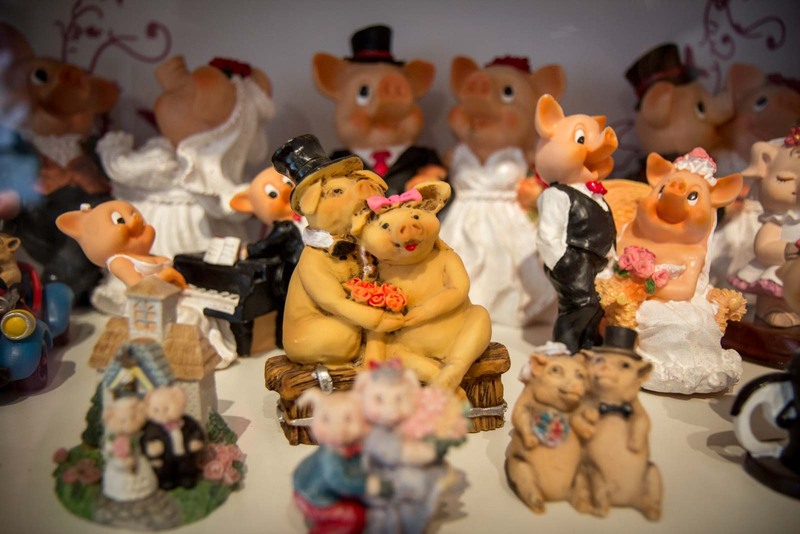 And finally, how could I not mention Stuttgart’s famous Pig Museum? The museum opened in 2010 in the old administration building of a slaughterhouse. Since then it has grown to the point where it has more than 50,000 items on display. It’s all divided into 25 themed rooms that each have a topic like international pigs, wedding pigs, mythical pigs… and so on. There’s even an x-rated section where the pigs are… well, porking. This is a bit of silly fun and certainly something a bit unique. As I say, there is plenty to discover. From cars, to art, to history, to… pigs. wow! that place is looking so beautiful and you recommend very good things about that beautiful place of germany. Buildings are looking so attractive and You captured awesome photos of that beautiful place. 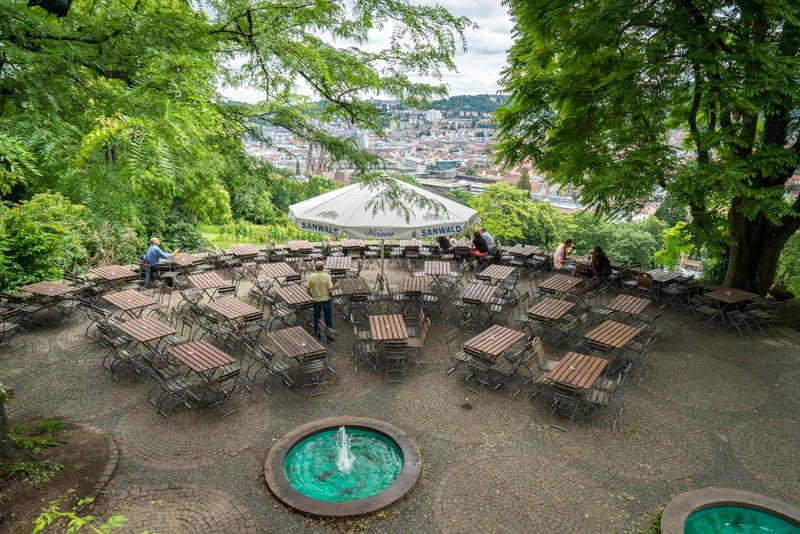 Great article, Stuttgart has been on my horizon for a while now, just not actually managed to get there yet… I knew nothing about the 400 flights of stairs though. Sounds great for getting good views of the city! Can’t wait to visit! I was impressed with Stuttgart on my first trip there last month. You’re right that it is underrated. I mean, come on, they have a pig museum! 🙂 Loved it. I absolutely hated Stuttgart as a city. I like the picture you took of the view to the city with the green leafy area, but I don’t remember that at all, or seeing where it was. The actual city is drab, ugly, under construction, and other than a couple of excellent museums (cars do nothing for me, so I don’t mean those), the tiny square where the palace is, and a nice part of the park/garden (where I was approached by a nasty man masturbating), the city is just ugly. 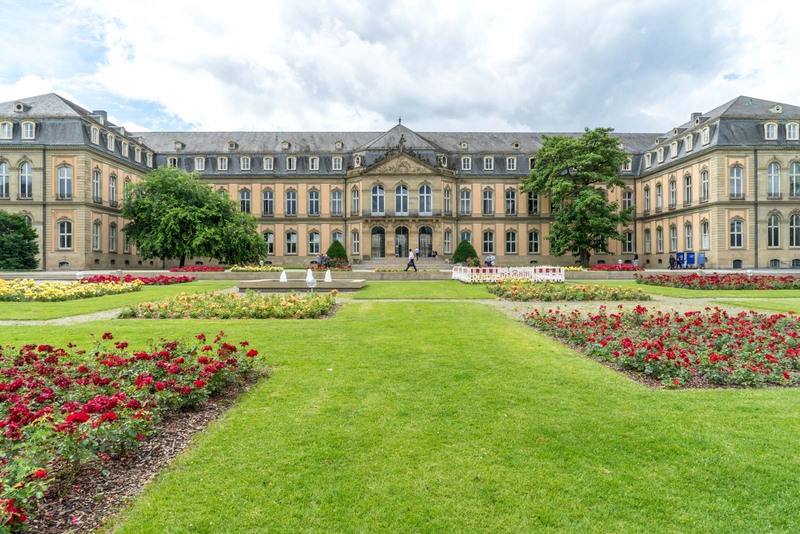 I am intrigued by Ludwigsburg, but Stuttgart in of itself has absolutely none of the German intrigue and charm that other German cities have. Thank you for ALL the helpful Information . I plan on visiting in January, I’m a single women traveling and only speak English, hoping that wont be too much of a problem..